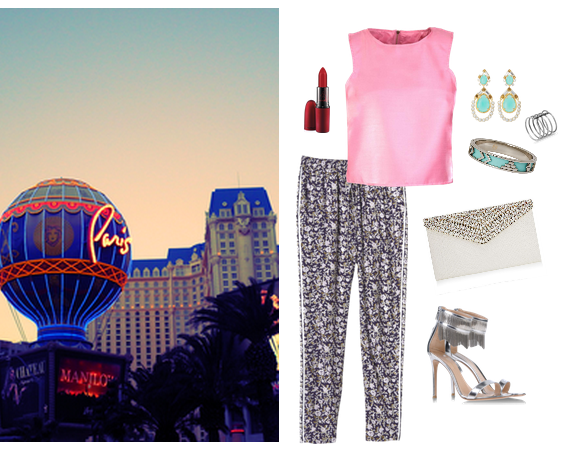 As part of the whole networking, connection-building development that blogging requires, I've been invited to enter the Las Vegas Style Challenge, where each contestant has to create an outfit transition throughout a day in the Aria Resort & Casino Hotel in Las Vegas. For each outfit idea, I've channeled my own style while trying to represent the essence of the entertainment capital of the world at its best. From a casual lunch at Five 50 Pizza Bar, a dinner date at Sage Restaurant, to a party night at Haze Nightclub, each outfit embodies the true Vegas spirit, categorized under elegance, fashion-forwardness and comfort.